How To Disable Blue Seen Tick Marks In Whatsapp? Last week Whatsapp rolled out a new update, in which you can see two blue tick marks. These blue marks shows that user has seen your message. However, most of the users were not happy with this update because Whatsapp didn't provide any feature to disable it. Many relationships broke last week, Lol. But after looking the negative response of the users about the update WhatsApp is now introducing a new beta version of the messaging tool includes the option to disable this feature if they want to keep the nagging out of their conversations. No one expected this Blue Ticks update. But now Whatsapp is trying to fix this update as soon as possible. Because it can ruin many relationships. So, here in this tutorial you can learn how to disable the blue ticks using new beta version. 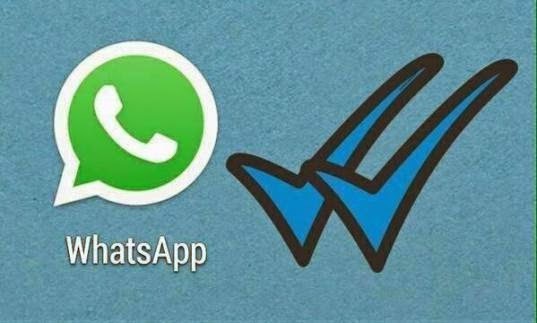 Whatsapp has launched its latest version with the option to disable the Blue Tick Marks. This version is still in its beta mode and available only on Whatsapp's Official website. This beta version is yet made available for Android users. Other platfrom users will have to wait for some time to get the latest update. How To Download WhatsApp Beta Version for Android Mobiles? First of all download the latest version of Whatsapp (WhatsApp 2.11.448) from Here. This version is not available on Play Store till yet. This will download the Whatsapp in .apk format. Now allow "Unknown Source" from setting to install applications in .apk format. After that install the .apk downloaded file in your Android Smartphones. Then go to Settings > Privacy > and disable the ‘"Read Receipts". If you are one of those users who is facing relationship problems after the latest update of Whatsapp then use the above method and remove your tension completely. It will take some time to reach this update in play Store till then you will have to download the new APK format to disable Blue Ticks.